Check out this eclectic Halloween-inspired mix that Jesse Marco put together for MADE magazine. Marco’s eerie set features a mashup of trap, hip-hop, and downtempo beats. Last updated on October 31, 2015 at 8:57 a.m. PST. 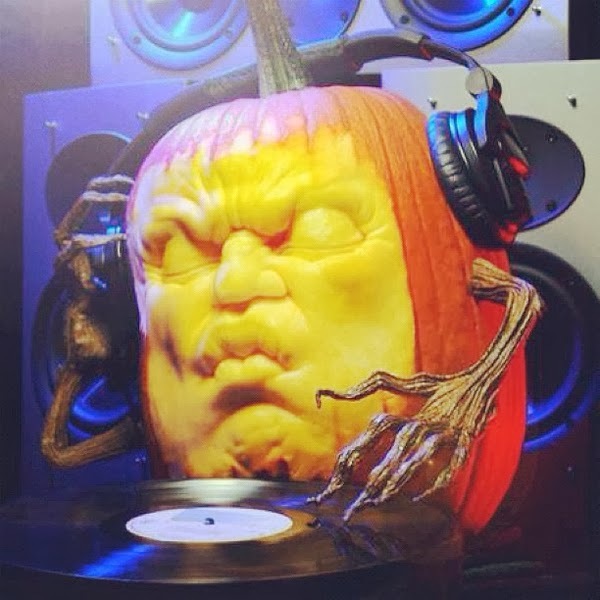 Are you looking for Halloween tracks to play in the club? Check out our suggestions below which include exclusives from DJcity’s in-house production team. We also recommend looking at our Halloween picks from last year. Los Angeles bassmaster RL Grime rarely drops mixes but when he does the web takes notice. Now with Halloween a day away, the influential DJ/producer has unleashed a 60-minute mix that’s as fresh and hard-hitting as it is creepy. Grime’s selection contains plenty of new music as well, including his own exclusives and tracks by Drake, Bobby Shmurda and Baauer. Be on the lookout in November for Grime’s debut album, VOID. Halloween week is in full effect and DJcity’s Chicago representatives Jesse Seely and Fuse have cooked up a special mix to celebrate the madness. Their 22-track session includes new remixes and edits by DJcity in-house producers DJ Smerk, Jordan Crisp, and the Tall Boys. DJcity’s weekly podcast features the latest club music mixed by its team and guest DJs. Previous mixers include Vice, Dave Fogg, Spider, Reflex, Epic Twelve, Steve1der and Yonny. The 30 minute podcast is available every Tuesday on iTunes and Mixcloud. It’s time to get your crates ready for Halloween! Below is a collection of tracks for this year’s festivities that were hand-picked by DJcity’s Music Director, Kidd Spin. In addition to classics, the selection includes remixes, bootlegs and edits by DJcity’s in-house producers.